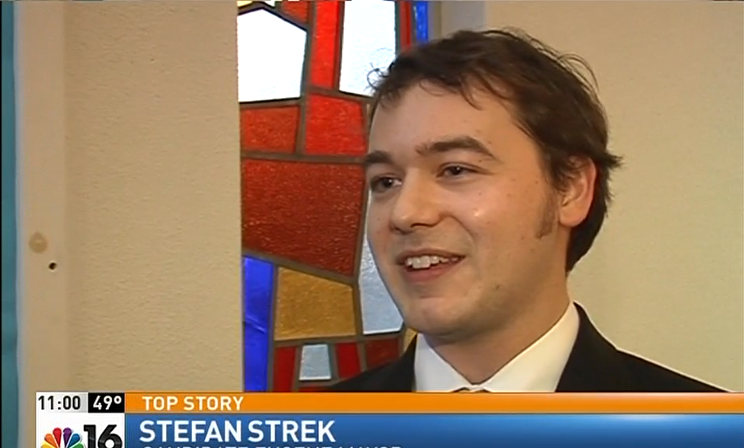 Stefan Strek is Interviewed by Tamara Leigh, Grassroots Conservative Blogger from America's Heartland. Eugene City Council ALWAYS notices when Mr. Strek walks in the room! 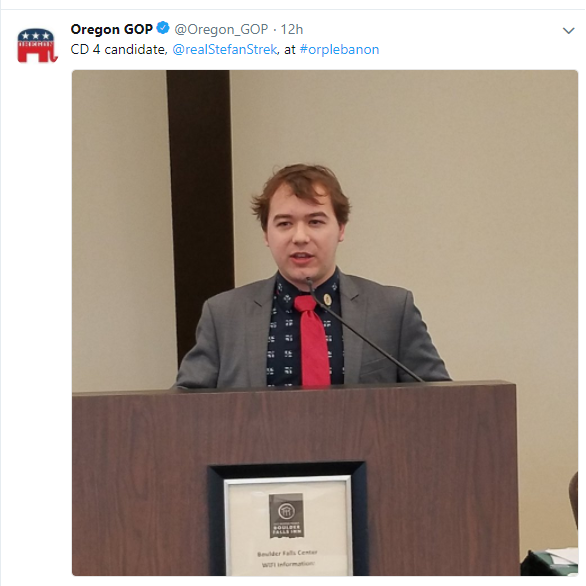 We LOVE how he's SHAKING UP Oregon Politics! Pro-Gun, Pro-Veterans, pro-Youth, pro-Seniors pro-Jobs, and ANTI-TAXES! Time to REALLY MAGA! #ElectionDay ends in LESS THAN 24HRS! 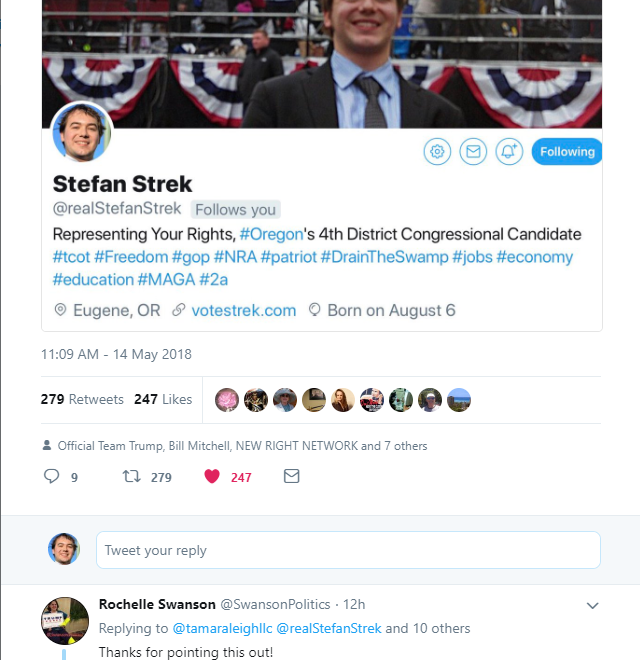 Stefan Strek: Exclusive Interview with Bruce Brossard from oregon Voter's Digest about Oregon's 4th District Congressional Campaign. Second Amendment, Veterans, Healthcare, Foster-Programs, Job and Taxes were ALL on the agenda! Congressional Candidates Spar Over Court Boice's Gun Rights Grade. He (Strek) said it’s difficult for public figures to prove slander or libel lawsuits, and that he wouldn’t engage in such a lawsuit under any condition because he supports and loves freedom of speech. “Any politician who cannot handle public discussion on their personal, or public, matters, may possibly be in the wrong career path,” he (Strek) said. He attached to his email a picture of five trophies, one for each Republican in the race.“We’ve all worked very hard, and I’d like to give everyone a trophy to help fix everyone’s feelings,” he said. "...he supports and loves freedom of speech." “Any politician who cannot handle public discussion on their personal, or public, matters, may possibly be in the wrong career path,” he said." 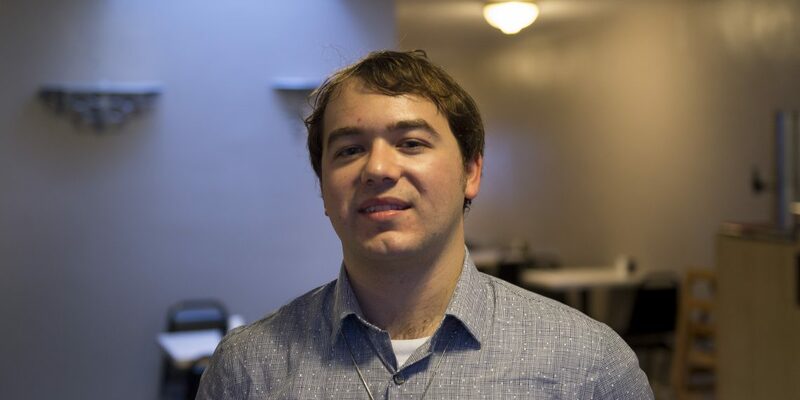 "Stefan Strek... has extensive experience as a farm laborer and independent contractor, but has always been passionate about politics. Strek's key issue is passing laws that impose federal penalties against "anyone infringing on our Second Amendment in any way, shape or form." "He is against background checks, age requirements and similar limits and said he'd like a complete repeal of both the National Firearms Act of 1934 and Title 2 of the Gun Control Act of 1968." "Veteran access to health care, stronger protections for foster children and adults in foster care, and a deregulated health care industry are also among his priorities." "...Guns don't kill people; gun control kills people by leaving law-abiding citizens defenseless against violent criminals. Firearms are the best equalizer between women, the elderly, or the disabled and able-bodied criminals who seek to do them harm. Gun control legislation is promoted by corrupt private interest groups that operate mainly out of California and New York, places with high levels of gun violence because of strict gun control laws. Those laws encourage victimization of innocent people, since criminals know the majority of the populace is unarmed and thus defenseless. Our best option to reduce gun violence is to reintroduce firearms education in the public school systems..."
The Daily Signal delivers investigative and feature reporting and the most important political news and commentary. The team is committed to truth and unmatched in knowledge of Washington's politics and policy debates. 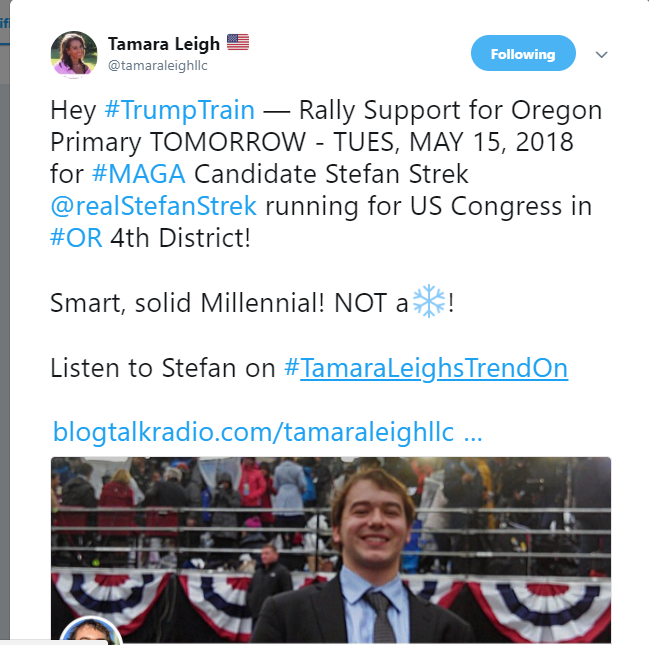 "Strek stands out from the other candidates who have run before"
"Running for office will give him a chance to better address issues that he cares about, such as veterans' health care and Oregon's foster care system." "Strek is a staunch supporter of the Second Amendment. In a January forum with the other Republican candidates, Strek said that if he won the general election he would "criminalize the infringement on Second Amendment rights"
"I'll work harder than anyone else in this race to get this job," he said. "If elected, I will work harder than anyone else in Congress, and you can guarantee that." "Strek is a staunch supporter of President Donald Trump, and said he backs the president 110 percent." "...the Congressional district would be better for him, demographically." "Strek listed defending Second Amendment rights as his top priority, and said he wants to prevent gun control regulations passed in California from spreading to other states." "I don't believe it's constitutional for states to infringe on individual citizens' ability to possess weapons. That should be just guaranteed," he said. "Strek said he wanted to improve health care by ensuring people can get medications they need, and by pushing for patients' rights. He also said the cost of malpractice insurance and frivolous lawsuits is too high." "Strek said he hopes events will be scheduled that will give him a chance to debate the other candidates on the issues." "I'm hoping that we have a lot more open discussion within the GOP," he said.